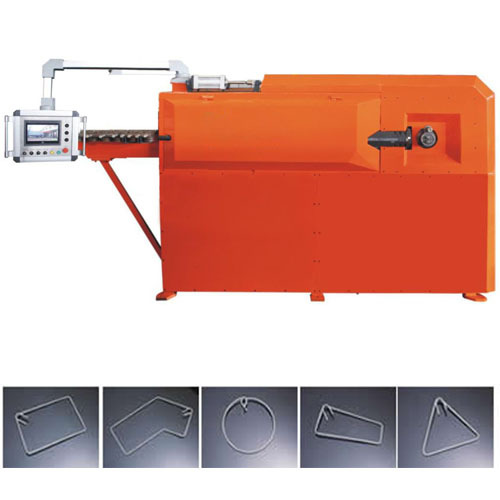 Wire bending machine can bend coiled wire rebar within 180° into different forms like a triangle, quadrangle, ring, and some irregular shapes, etc. 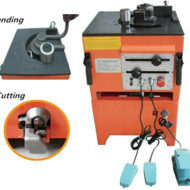 Wire bender machine has a wide range of usage in constructing and building industries. 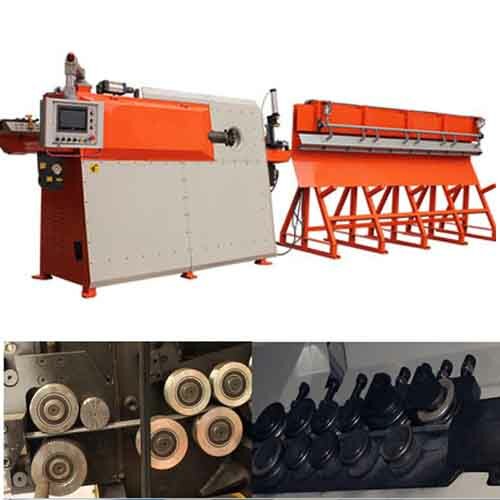 Ellsen wire bending machinery has three programs of straightening, bending and cutting to process the cooled bars, which promises that this machine has high producing efficiency and strong durability. And so this type of bar bender machine has many advantages in the fiercely competitive constructing market. 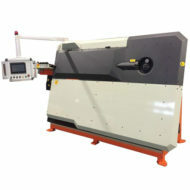 Ellsen provides different types and sizes of wire bending machines; CNC wire bending machine is one of our featured products. The difference between our different types of wire benders mainly falls on their different driving motors. The motor of one type of wire machinery is driven by air, and the other driving motor adopts the hydraulic device. For the machinery equipped with air motor, there is another relatively little device to add forcing power of the air motor. Also, Ellsen is able to customize different types and sizes of bender machines for clients according to their different requirements. 3. Flexible and easy to operate. 5. Able to produce in batch. What is Wire Bending Machine? Wire bending machine for sale is widely used to bend the coiled wire rebar into different plain figures, for example, five-pointed star, ring, triangle, quadrangle, and another polygon as well as other irregular forms. 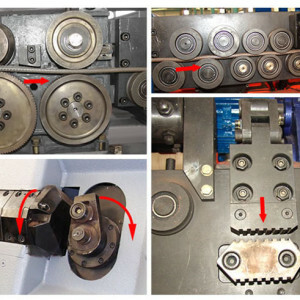 Do you know the working principle of steel wire bending machine? It is simple and quite easy to understand. The coiled rebar can be put into the machine from the feeding inlet to process. Then the driving motor will push it forward. Next, the bars will be straightened horizontally and vertically; and this process will be going on orderly and separately. After the above processing, the bending program will bend the straightened rebar into a certain shape we set before through the numerical control panel. Actually, we can set any forms like a five-pointed star on the numerical panel according to different needs. Besides, our automatic wire bender machine can process bars in batch. It is convenient and can save a lot of time. Advantages of Ellsen Wire Bending Machine? Ellsen wire stirrup bending machinery adopts the hi-tech technique. It is designed reasonably. 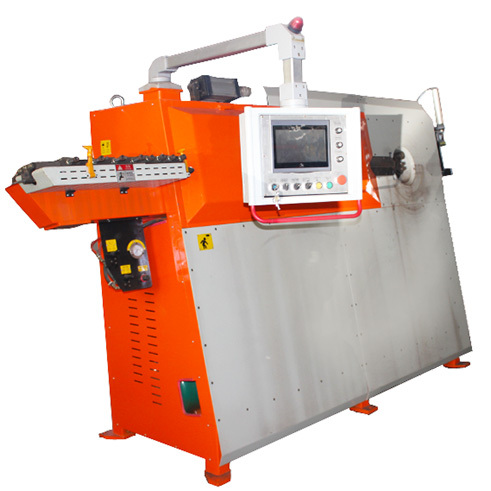 Ellsen wire bending machines’ manufacturers are equipped with sophisticated machinery, in addition to the experienced staff, our wire bending machines are with high quality but inexpensive wire bending machine price. And this is the reason why Ellsen wire benders are widely accepted at home and abroad. Ellsen has specialized in this field of manufacturing and exporting machinery for 20 years. So far, it has developed into one of the leaders of the machinery industry in China. 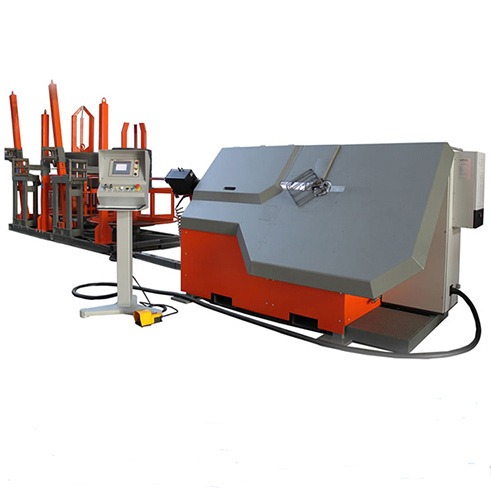 Our company can provide customized-made automatic wire bending machines according to certain demands of different clients. And we are delighted to welcome every client to visit our factories.